I know that seems silly since car makers have been trying to sell us on the benefits of new cars and the government is telling us to buy new cars to save the economy. The first indication that this was a bad idea was when I was walking past a dealership and heard a horrible noise. I heard it again as a brand new car left the lot. I have spent years investigating this noise and it occurs when a new car buyer leaves the lot with their new car. All cars lose about three to five thousand dollars immediately upon purchase. That noise is the money being sucked out of the buyer’s pocket. Makes me shudder. If you then total that car you will end up owing the difference (called GAP) to the loan company since your insurance will only pay the current value. This happens often enough that companies even sell GAP insurance to protect you from this lost value. Many warranties are transferable. There are also companies that sell warranties for used cars. 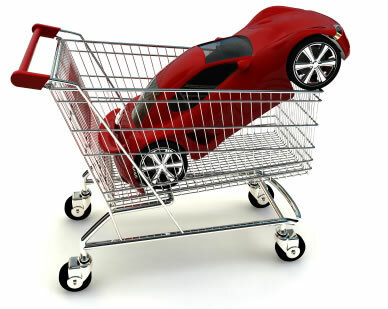 Also you can purchase maintenance plans for used cars. In fact there is good business in providing new car services to used cars. It depends upon how old the car is. If someone purchases 2010 vehicle in September 2009 (when they become available), defaults on the loan in October, the car is repossessed in January, Auctioned off to a used dealer in February, put on the lot and is called a used car. I understand what you’re thinking. I thought that too. I also thought that this would be rare. That was until the online world opened the used car world up to us. I looked up the really cheap cars on the car sites (cars.com, etc.) and then called up the dealers to see what else they had. With a third child on the way I thought a Van was in order, but I didn’t want to pay 20k for a brand new van. 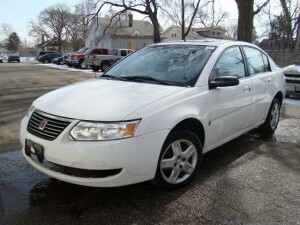 Especially since the loan company only approved me for 16k. I did some searches online and found a really cheap van. I then called up the lot only to be informed that it was sold (typical). 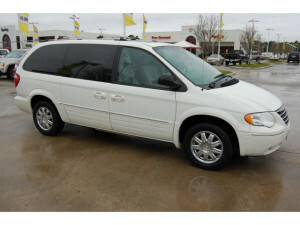 I found another van (Chrysler Town & country) on the site that would do and it was still available. Since I already was approved for the loan they were willing to let me have it that day for $14,500 (new goes for $21k, not bad). RoadLoans tried to sell me GAP insurance and they found out that I had equity in my van. It’s nothing special. A basic white sedan with power nothing. It normally goes for $14k stripped down. I found one for cheap, called them up and it was sold (sigh), but he might have something else on the lot since they just came back from an auction. Ding! I thought if he goes to auctions other lots might do the same. So I went looking around found another place that specializes in this type of thing. They also were a certified dealership so the loan company was happy. I took it home for $8,500 and once again had equity in my car. So if your budget is tight and you don’t mind doing a lot of searching this might be the best route for you. The best times of the year to buy a car are December & January. Yay miser-y. Next Post Next post: Bergenost Cheese!